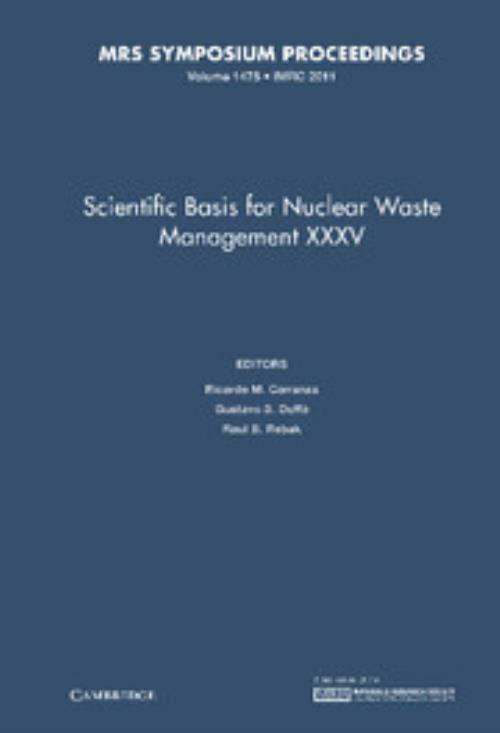 This volume contains peer-reviewed manuscripts from the 35th Symposium on the Scientific Basis for Nuclear Waste Management that was held on October 2−7, 2011 in Buenos Aires, Argentina. About 180 participants from 25 countries were registered to attend the Symposium, which featured 147 presentations including oral and posters, covering: national research programs; advanced fuel cycles; behaviour of spent nuclear fuel; nuclear waste glasses and vitrification; ceramic wasteforms; engineered barrier systems and the near field; cementitious wasteforms; geological disposal; container corrosion; wasteform performance and natural analogues; and migration and colloids. Part VII - Modeling, Migration and Colloids.